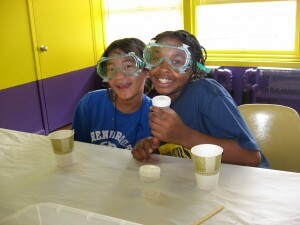 Field trips are a time-honored tradition in the life of a school child. A Children’s Museum field trip helps bring science to life and challenges students with hands-on exhibits and programs that are steppingstones to inquiry-based learning. A field trip generates an excitement about science that students carry back to the classroom and that teachers can build upon throughout the year. Our programs provide the spark, the interest, and the motivation to learn more. The Children’s Museum is committed to life-long learning and the importance of an educated community. Through educational field trips, children develop a sense of curiosity and become excited about the world around them, empowering them to include museums and other informal learning venues in their lives as they grow older. When planning a field trip to The Children’s Museum, teachers may choose from onsite classroom programs, planetarium shows, and touring our many hands-on exhibits. Please explore these field trip web pages when planning your trip. 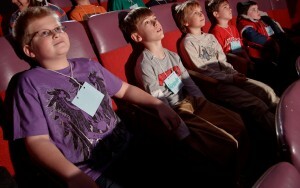 To make choosing a classroom or planetarium program easier, we’ve cross-referenced each program with Connecticut State Standards and The Next Generation Science Standards. To find out about available programming, email our Registration Department or call 860.231.2830 x440 to discuss your options. For reservation information for Roaring Brook Nature Center, call 860.693.0263.